Christmas is creeping up awfully fast this year. If you’re like me, then you’re inspired to make holiday themed goodies, but don’t have a lot of extra time to spend in the kitchen baking up treats from scratch. Don’t get me wrong, I always make up a few batches of Christmas cookies and the occasional pie around the holidays, but anything extra is seriously a tight squeeze with wrapping presents, decorating and meal planning— it’s amazing that I even have time for that! This year I’m taking a simpler approach and I’m putting together a few fun, kid-friendly recipes that take no time at all to prepare. 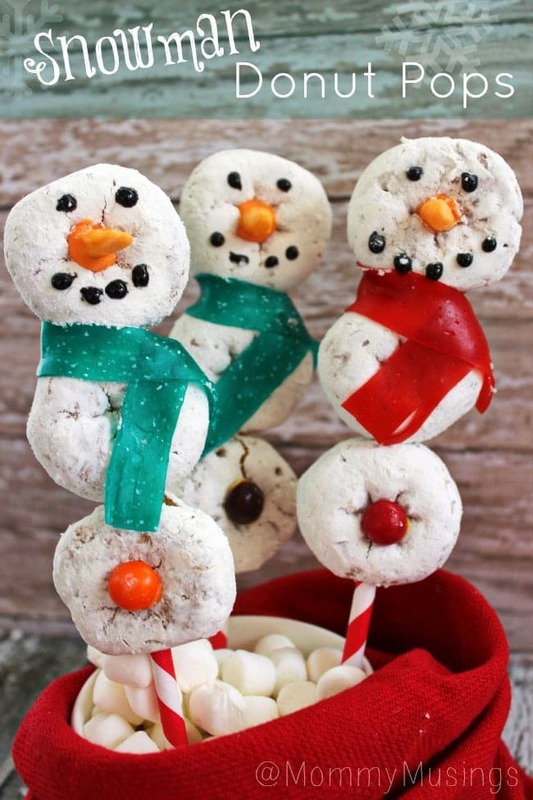 The first treat I’m making are these extremely cute powdered sugar Snowman Donut Pops— with no cooking involved and only a few ingredients, they’ll be a hit at any holiday party or get together. Heat White Candy Chips in large bowl by microwaving for 30 seconds; stirring and repeating until melted. Dip lollipop stick in white chocolate. It will help to act as glue to keep donuts from slipping. Push 3 donuts onto stick to form head and body. Place a small glob of white chocolate below bottom donut to keep it from sliding. Lay donuts flat to set. Cut Starburst candy in half, and then cut each half on the diagonal and mold to form carrot shape. Cut Fruit by the Foot in about 6" lengths and wrap around snowman to make scarf. Using gel icing pipe black dots to make "coal" eyes and mouth. 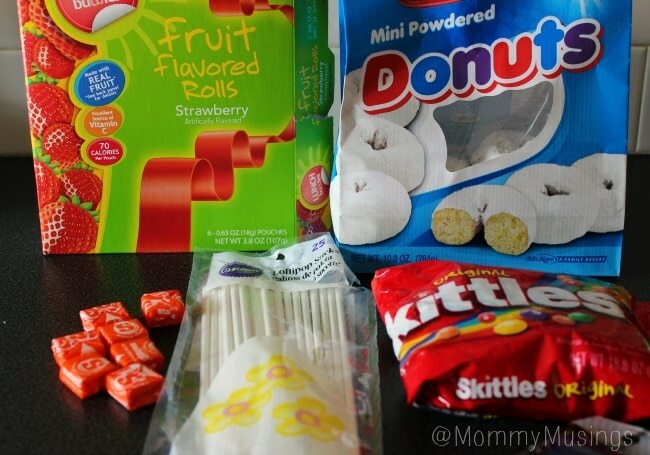 Use white chocolate to set Skittles as buttons in 2 bottom body donuts. 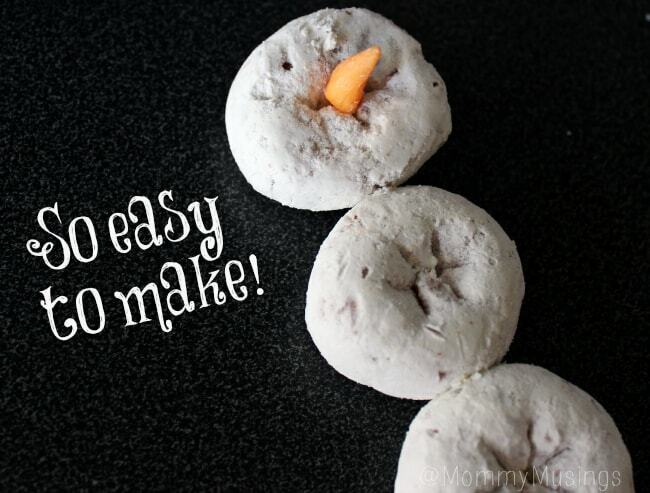 Use white chocolate to set Starburst "carrot" nose in the center of donut head. Allow to set & enjoy! Those are really cute snowman! OMGosh! These are so freaking adorable and I bet they taste delicious! So adorable and EASY! I bet they are so yummy too. 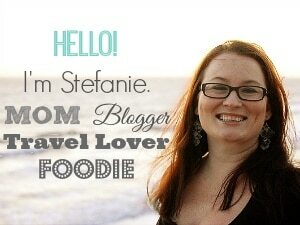 Oh my gosh I am loving all these cute recipes! How cute! I’m going to make this for my son’s class Christmas party! These are super cool and I really appreciate how easy they are. Pinning now and can’t wait to get creative with the kids! Those are just so easy and adorable. Kids would love to make them on their own too! I am going to make these with my nephews when they come visit for Christmas! At last, a recipe I can complete without become Pinterest Fail fodder. 🙂 These would be a great snack for me to take to work this year; it seems everyone ups their baking and office snack game over the holidays. These are stinking cute! I may be having a breakfast dinner, these would be a cute dessert! I saw these floating around on Pinterest today and thought they are just Darling!! So fun and creative, thanks for sharing this cute idea!!! These are so cute and such a fun idea. My kids would love them! These are so adorable, I definitely need to make them on Christmas morning! Those are so cute! I know my little ones would love them! Those did turn out really cute! And so easy to make! That’s my kind of treat.